JM and I spent last week in the south of France scoping for places to live. Grandmaman and Grandpapa came down from Canada to stay with the kids while we were gone. Love it here!! The people were lovely, the area was absolutely beautiful. 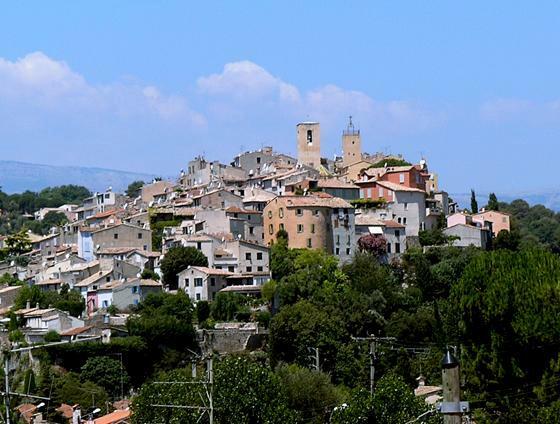 We scoped out a ton of small towns outside of Nice: Vence, Grasse, Valbonne, Draguignan, Callas, Le Muy, Brignoles, Biot, Sait-Paul, Saint-Jeannet, Gattieres plus a bunch more. Our short list is Biot and Vence. We love the idea of life in a walled medieval village. Walk the girls to school in the morning, go pick up a paper and a coffee, read and watch the people – all surrounded by buildings that are hundreds of years old. Kindle whispernet works in France: Whew! Huge relief. I was worried about my source of books while we were gone. Start French conversations with “J’ai une question”: It’s a phrase that is easy to pronounce for an English-speaker, and it sets the stage that the forthcoming conversation will require effort. People would be more likely to focus and make an effort, then speak more slowly when they reply. Distances are short: Looking at the map we’d ruled out places like Grasse as being too far away, but everything is pretty close together. The Nice airport cafeteria is excellent: We had some amazing meals there – very helpful staff also. JM has a strong French-Canadian accent: Everyone we met commented on it within 3 or 4 sentences. Merci Mark! Thanks for dropping by.